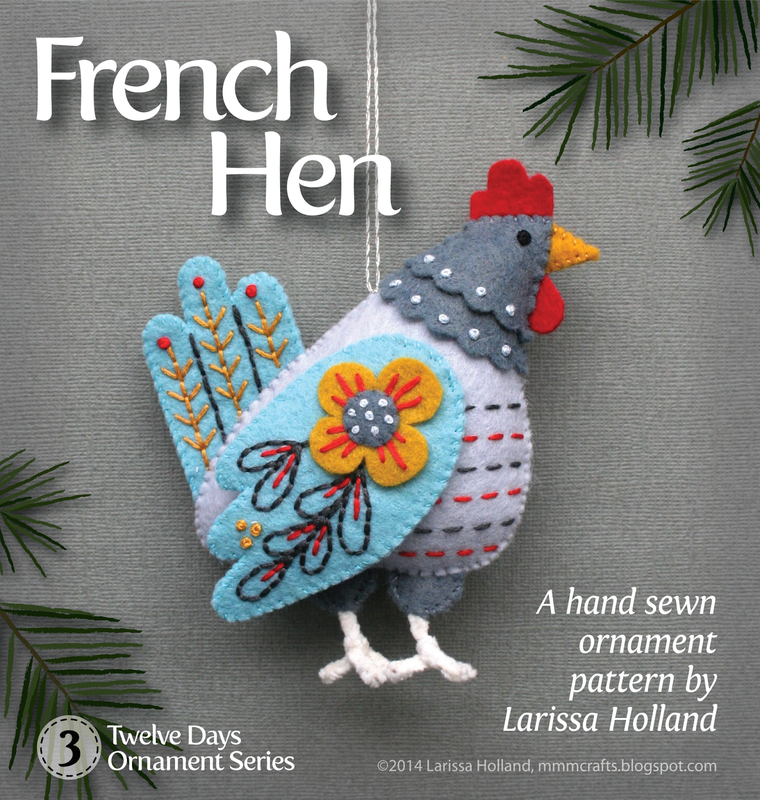 mmmcrafts: French Hen pattern is in zee shop! French Hen pattern is in zee shop! At last! 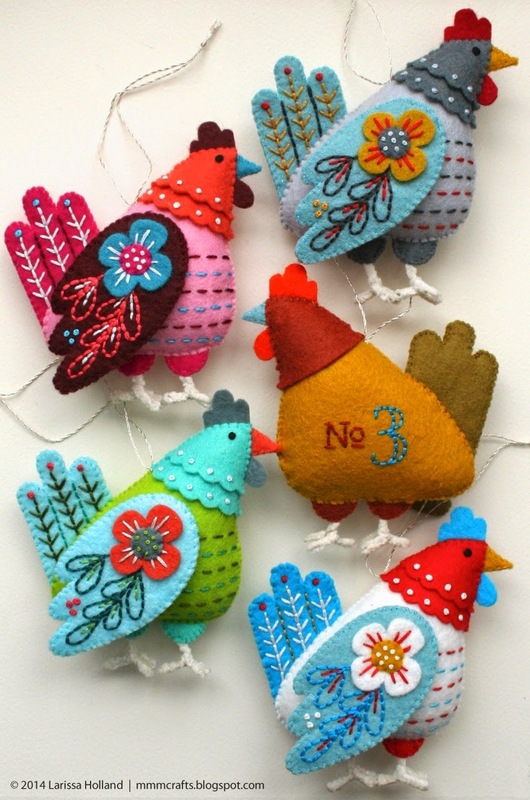 French Hen patterns are available and just waiting to be made for your Christmas tree. This is the third pattern in my Twelve Days pattern series. (Here are the first two patterns: Partridge & Pear, Turtle Dove.) I'll continue to release patterns until the entire series is available. This is the last one for this year, and hopefully still in time for some holiday hand making fun. 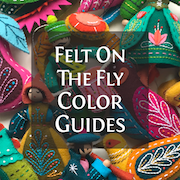 If you can do basic hand embroidery stitches then you can do this project. 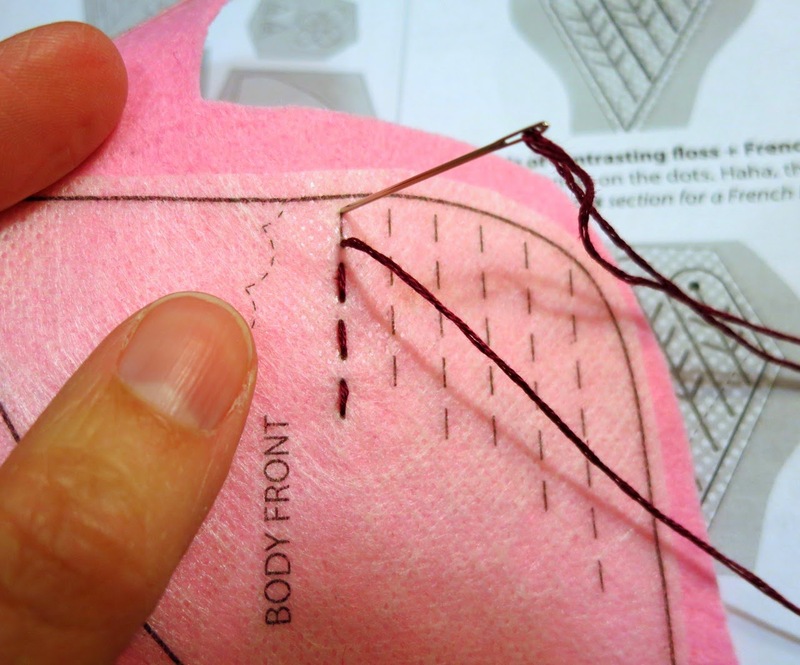 There are helpful tips for whipstitch, backstitch and French knots in the Resources section of the pattern. And of course, lots of step by step diagrams. I'll be using the same stabilizer method for each of the ornaments in the series. 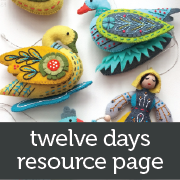 You can find all three currently available patterns in this Twelve Days series in both my Etsy and my Craftsy shops. Someday... I'm gonna do it! They are just so awesome! Another beautiful job! You will be assimilated. :-) Thanks so much, Grandma G! Incredible! Love, love, love them! You just keep getting better and better and better!!! SuzyMcQ, you are too kind! thanks a bunch! I have been searching for a cute christmas ornament to make for my family members for weeks and just came across these. They are adorable!! 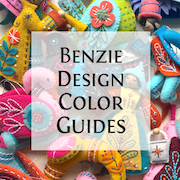 I just bought the french hen and the partridge and pear in your etsy shop and the coordinating felts and floss from benzie. I can't wait to make my own. You are crazy talented. Wow, Kim, thanks so much! I hope you enjoy making them as much as I do. amei os seus trabalhos. Parabéns. WOW! I see you have finally created patterns for all 12 of the Days of Christmas ornaments: how lovely! Some day I hope to purchase some and make my own. Thank you!